Authenticity by Gilmore and Pine has a rating of 4.5 out of 5 stars on Amazon.com, from 27 reviewers. I found it dull, boring and purely academic. 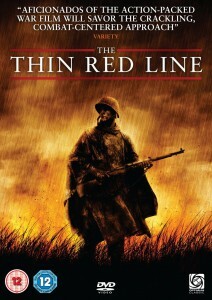 In 1999 I went to the cinema with my wife to watch the award-winning “The Thin Red Line”. 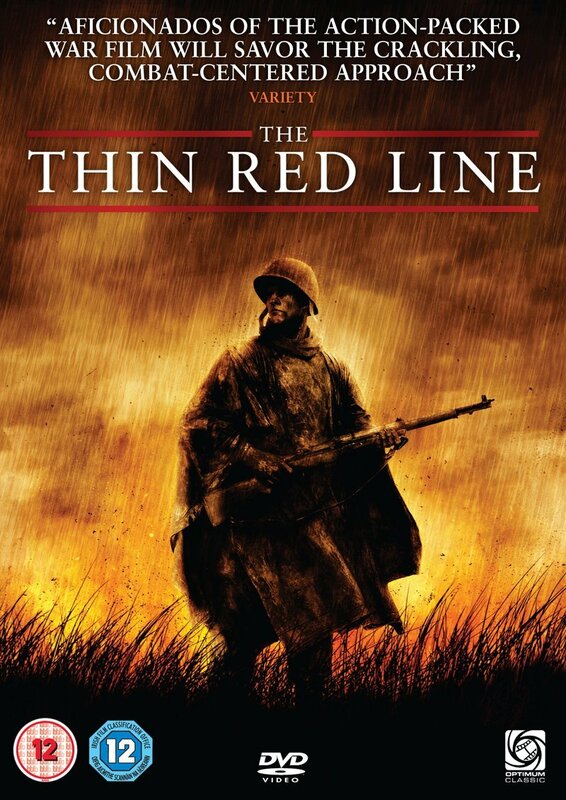 I like war films, especially about the Second Word War. After a while we walked out of the cinema because we were both bored and thought there were better things to do. 15 years later, it now has a rating of 7.8 out of 10 by 121,086 users on IMDb. Perhaps we missed something from the film. This is the eighth part of the monetisation series. We started discussing advertising and marketing monetisation techniques, and now we’ve moved on to other areas. This post deals with licensing. 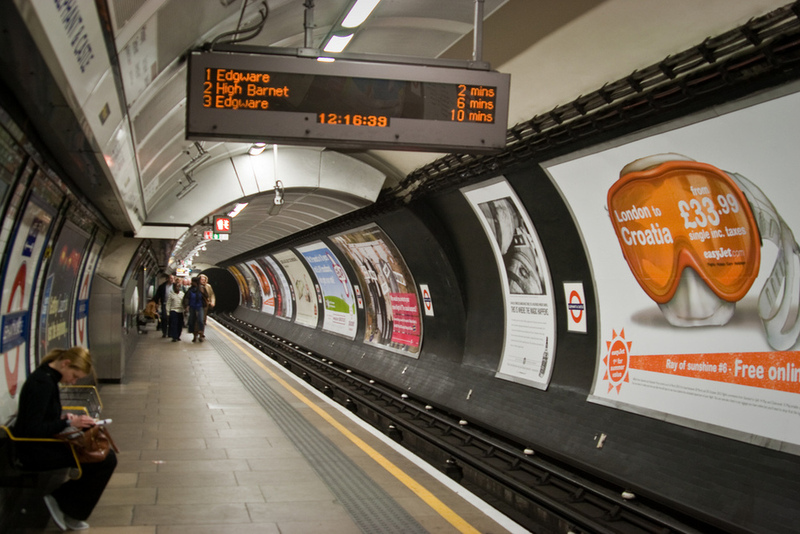 These notes are from the adtech London exhibition in September 2013. Apologies for any brevity, grammar or spelling mistakes, I did the best I could! 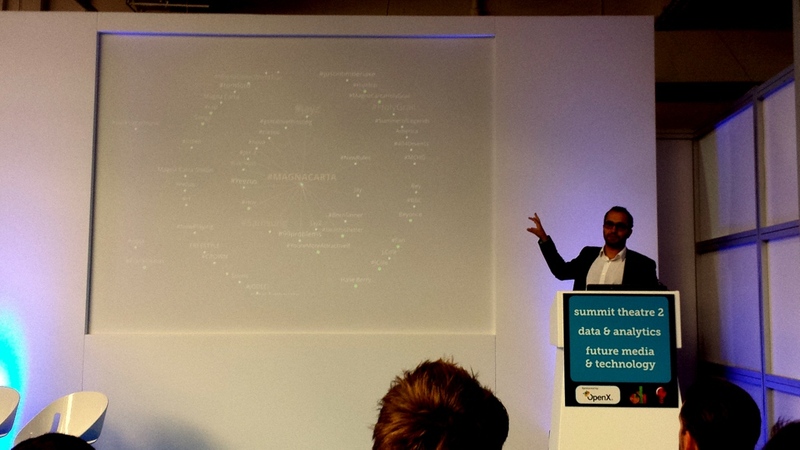 Here is a full list of all my presentation notes from adTech London 2013. Dara Nasr is the Head of Agency Sales at Twitter, and had an arsenal of amusing, anecdotal case studies about brands on Twitter. Plan for everyday moments. He showed the use of everyday keywords such as shopping, which are cyclical around the days of the week. Time your tweets to coincide with everyday activities. On commercialisation after a potential IPO: Twitter might not change that much because it’s very user focussed, and doesn’t want to do anything users don’t want. Here is a full list of my presentation notes. Continuing my theme about naming conventions in the IT world, I think our industry is better at branding and marketing than branding and marketing professionals! I mentioned that I took part on a Big Data/ BI (Business Intelligence) workshop recently. My first job after university – in 1994 (no gasps at the back please – I know I don’t look old enough) was as a developer providing an EIS (Enterprise Information System) for NHS clients. We took large amount of data from Patient Administration Systems (PAS – again, no sniggering at the back if you work for Endava please (private joke)) and provided graphical dashboards which often exposed ‘intelligence’ in the data which would have taken much longer to process in standard databases. And the data was too large to import into Excel. There are many off the shelf products, many of which are open source, which makes implementations far quicker to implement today than fifteen years ago. Another great piece of re-branding is thin-clients. In the late 1990s, moving to a thin-client model (i.e. most of the processing was done by a server) was fashionable. We then moved back to thick-clients – where the processing is mainly done by the desktop. Then the Internet age was born, and we never heard about thin or thick clients, because they were rebranded as ‘browser-based’ and apps. Exactly the same model, just rebranded. Infrastructure has gone through some great rebranding. The term ‘hosting’ was left untouched for 10 years, before virtualisation – which wasn’t really a new concept. Citrix have been doing it for ages in the desktop industry. But suddenly every CIO felt compelled to virtualise virtually everything (pun intended). And then… “Cloud”. I remember speaking to clients early on about Amazon Web Services, and within three years every hosting company rebranded their virtual environments as Cloud. Nothing more than rebranding. My personal website is stored “in the Cloud”. When I first took out the contract it was a Shared server, then a virtual server… now a Cloud server. It’s just the IP address has never changed! My final example of brilliant branding is Enterprise social media. Lotus were doing Enterprise Collaboration in the 1990s – boasting shared documents with workflow and permissions. 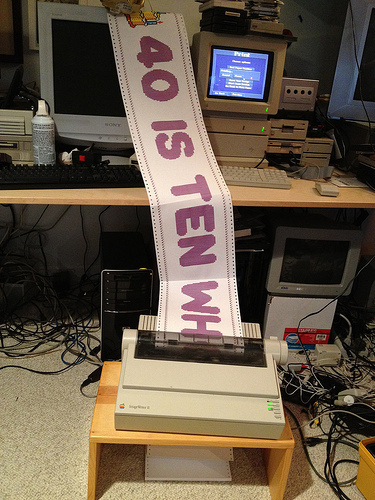 I’m looking forward to future rebranding – green screens becoming “eco-screens”, dot matrix printers becoming “banner printers”, email becoming “enterprise messaging”, word processors becoming “information asset collation”… the list goes on. Following on from my earlier post describing Endava’s Supplier and Partner day, one of the presenters talked about how some brands have faced new challenges when moving into the direct to consumer space. 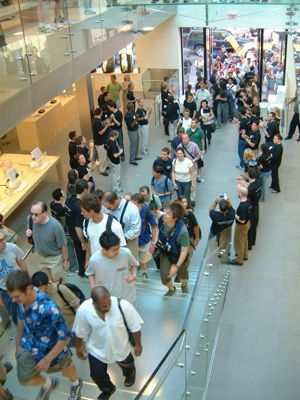 Many of the brands that we see, in face most of the superbrands that we recognise, require a retailer as a middle man. Out of those 10, you usually need to walk into a retailer to buy Coca-Cola, IBM, Microsoft, GE, Intel and HP’s products. Of the remaining four, I would estimate most people buy Apple and Disney products not in an Apple or Disney store, leaving only Google and McDonald’s as direct to consumer superbrands. I think you get the picture. The Web created a link between brands and consumers. Remember, many brands took a while to create a website, and it took several years to break out of the ‘brochureware’ style site. Interacting with consumers? It took the social media revolution for most brands to start communicating. However the web didn’t create customer service issues. This started happening with mobile apps. The two main reasons for this is the fundamental difference between web and mobile apps; and charging for content. The first point is that a website can be changed by the brand, and the customer won’t have access to an older version of it. Now, a brand can produce a mobile app for a current campaign, and needs to think what will happen to that app once the campaign finishes. Think of all those London 2012 apps out there on smartphones… what will happen to them after the Olympics? They will be legacy applications, and it takes a strategic brand to think about the migration post the campaign. In the web world, you can simply redirect the user from the finished campaign to another page. The second point is when brands charge for apps, or for the content inside an app. For many brands, it’s the first time they are taking revenue directly from a customer, and this brings on customer service issues they have previously never needed to deal with. This week we held our annual Endava Digital Media Supplier and Partner event, where we invite all our suppliers and customers together, to show some case studies and for suppliers to demonstrate their latest products and roadmaps. There are always a number of interesting facts and trends that are discussed by each of the presenters, and I’ll cover some of them in the next few days. One of the key case studies this year was from Drum, who we’ve been working with on some recent Cadbury projects. Drum presented some Shazam case studies, which are particularly interesting to us because we’ve been working with Shazam already, and I already love their mobile app. Shazam have been well known for a while for their music recognition service. You point your phone at a speaker for a few seconds, and a few seconds later you either receive a text message or an App alert to tell you exactly what the piece of music was. Shazam are now helping brands with TV advertising by providing a second screen experience. So while you’re watching a TV advert, when the Shazam icon appears you point your phone at the screen and very quickly, you’ll get ‘extra features’ from the TV ad. It might be a competition, or a game. This is one of the main reasons sport is so valuable to TV broadcasters. Almost all other types of show can be recorded, and users can fast forward through the adverts. However most people want to watch sport live, which means watching the adverts in ‘real time’. NBC have taken Shazam into the actual TV production process. As the video below demonstrates, when a users Shazams a snowboarding show, they saw any extra first person view of the snowboard run in their mobile providing an excellent experience. A true story (all the stories I tell on this blog are true – it’s just this makes the story more dramatic) – I was standing in the kitchen washing the dishes last night whilst watching the television. I find this to be the second most therapeutic place in the World – the first is in the shower (for more information about why we seem to think clearer in certain positions but never at our place of work, read Future Minds. Anyway, back to washing the dishes, and I saw the new Sony Xperia Play advert shown below. This got me thinking the same thing as the R&D guys and girls in every handset company in the World – what is the perfect handset/ mobile/ slate device? By perfect, I mean “what device will take over from all the other devices we own?” I remember conversations in the late 1990s when I worked at the Finnish Telco Sonera (for accuracy, I worked at a subsidary called SmartTrust – now part of G&D, however these conversations took place with the parent company) where we discussed more than 100% penetration of handsets in the World (i.e. more active handsets than people). Why would people want more than one handset? Because you’d have a super smart/ fashionable one in the evening, an email device with QWERTY keyboard during the day, a sporty/ waterproof one on weekends and so on. I remember hearing that the market research teams at Nokia (despite the recent bad news I’d recommend anyone with any technology interest to visit their amazing corporate headquearters in Finland) kept hearing that their users wanted tiny phones and massive screens; they wanted as few keys as possible and full QWERTY layouts; they wanted the simple, original, ‘flat’ Nokia menu and a gazillion functions on the phone. The users wanted the impossible – mutually exclusive functions. After I’d finished the washing up (we have a large family and had guests that evening – these things take a while), I sat down and caught up on some recorded TV – Secrets of the Superbrands: Fashion when the penny dropped. Fashion – too many of us want the latest new shiny (or distressed as I learned on the Secrets programme) thing, for the sake of having the latest new thing. Best of breed. I use the toaster because it makes the least mess; I use the microwave because it makes hot chocolate quickly and without getting a saucepan dirty; I use the oven to roast chicken because I imagine it’s going to taste nicer than the small microwave/oven (and I’m worried all future hot chocolates will taste a little chicken-ey). We want change. I like love Dairy Milk. But every so often I’ll have a Flake, or a Twirl or a Wispa. Think of your favourite yet balanced meal – why don’t you have it every night? And for these reasons I don’t think the single device to take over our wallet, mobile phone, laptop and paper pad is ever going to come along.